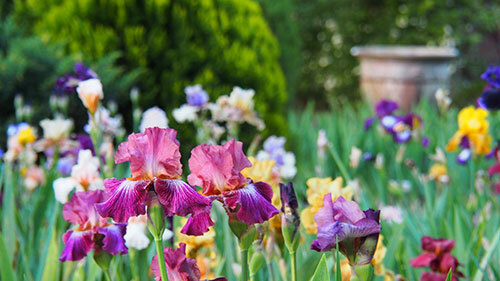 Open Gardens SA is a not-for-profit organisation overseen by a dedicated committee of South Australian garden lovers, including designers, horticulturalists, garden owners, and several former committee members of the National Open Gardens body that ran for 25 years. Open Gardens SA was first established in 2015 after the disbandment of the famous national Open Garden Scheme. The South Australian organisation has become an enormous success. In the first 12 months more than 50 private gardens have opened as part of the new Open Gardens SA program, welcoming more than 20,000 visitors with approximately $80,000 going back to garden owners and their chosen charities. Additionally, more than $75,000 was raised by charities operating plant stalls, morning teas and other supporting activities as part of the events. Open Gardens SA was incorporated as an Association in December 2014 to continue the Open Garden Scheme in South Australia after Open Garden Australia announced that it would cease to operate the national scheme after June 2015. The enthusiastic and experienced team that made up the local committee set up Open Gardens SA so that the people of South Australia could continue to enjoy sharing the treasures of our gardens and to bring garden lovers together.